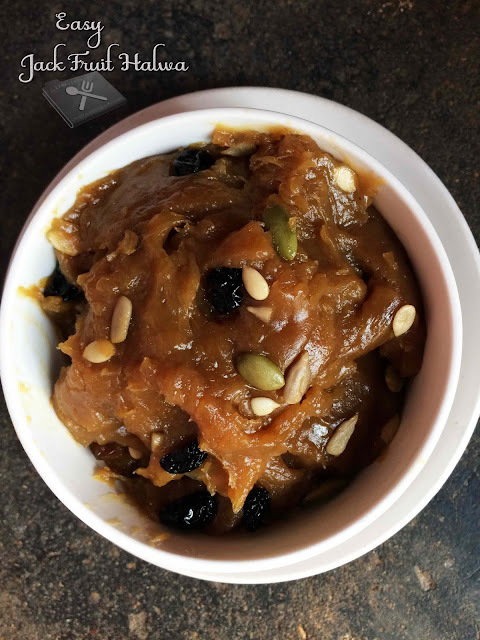 An easy and quick jack fruit halwa recipe that tastes delicious. Add jack fruit pieces, a pinch of salt and little water in to a pressure cooker. Pressure cook for 2 to three whistles on high flame. Open the lid and add in to a blender after cools down completely. Heat a non-stick pan with 1 tbsp of ghee. Add pureed jack fruit and saute for 2 to 3 minutes without changing its color. Add powdered jaggery and mix well. Mix corn flour with little water and make smooth batter. Add in to the jackfruit and mix well continuously until thickens. 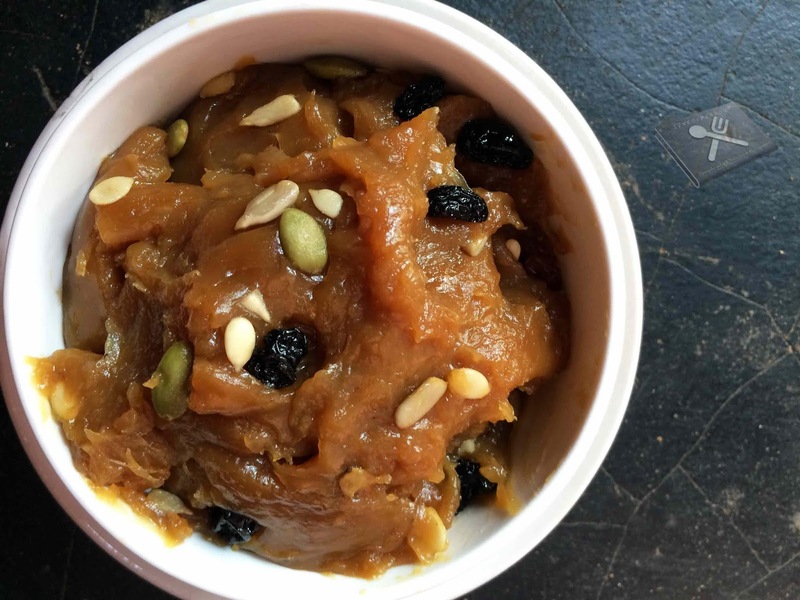 Add a teaspoon of ghee and cook until halwa leaves from the sides of the pan. Add dry fruits, nuts or seeds to garnish.